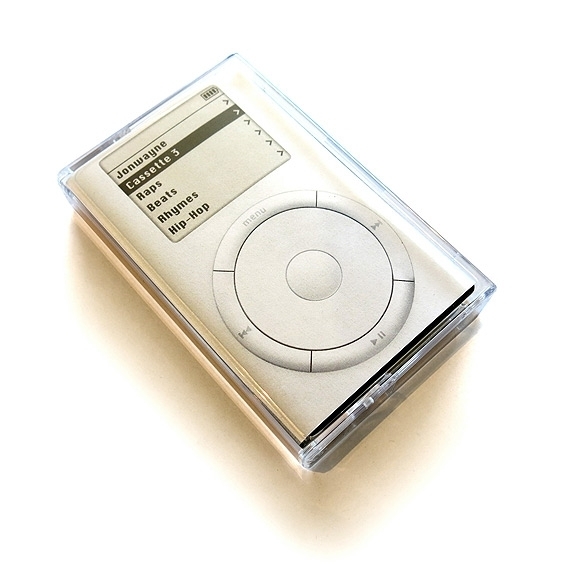 Jank comes up with another brilliant cover, this time an analog ipod. About the title: Jonwayne’s real name is Jon Wayne. Marion Morrison is the real name of the Hollywood cowboy guy John Wayne, who took his screen name from Jonwayne’s great-great-great-great-great uncle. What comes around goes around. straight copied from Stones Throw.